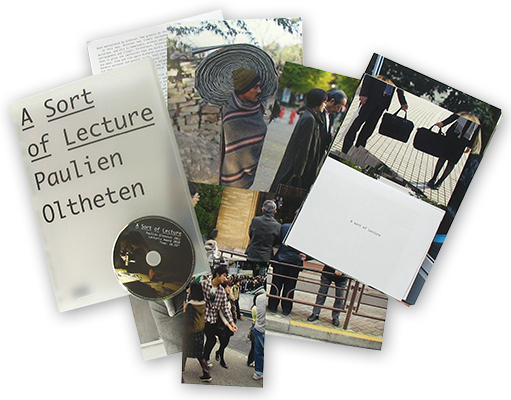 A box filled with work of Paulien Oltheten. Published on the occasion of the Lecturis Award 2010. The street is the working field of artist Paulien Oltheten (1982). Apparently casually she is looking for those moments of contact between people, things and the public space.